MARIETTA — The Fifteenth Amendment to the Constitution of the United States granted all men the right to vote, regardless of race, color or previous condition of servitude. It was ratified in 1870, after the Civil War. But some 68 years before, a young man of color was the first to vote in the new territory. His name was Christopher Malbone but he often was referred to as Kitt Putnam, the surname of the family who raised him. Britton suggested the story of Kitt Putnam as an interesting look into black history in the Mid-Ohio Valley. February is Black History Month. 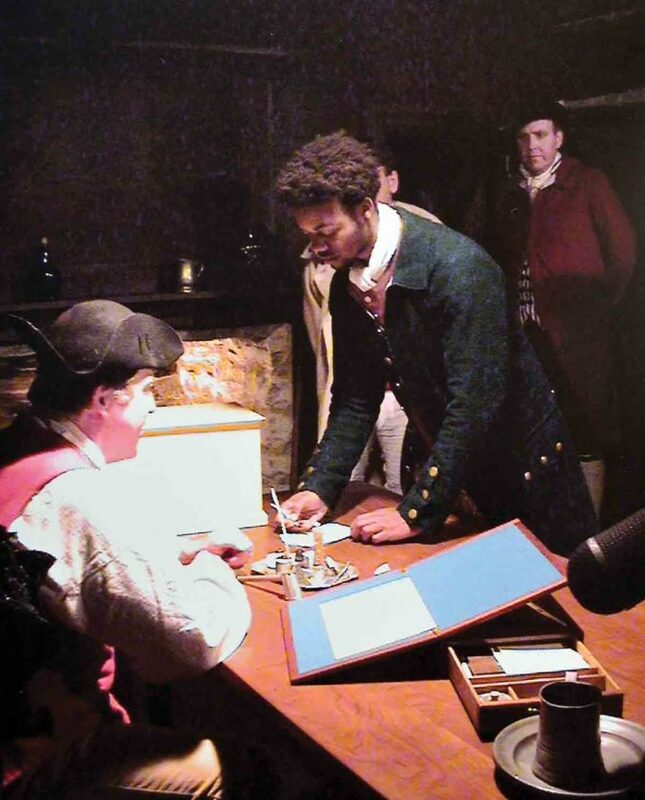 According to the book, “Washington’s Darker Brother” by James L. Dennis, the Putnam family moved to Marietta in 1789. Kitt was the personal servant to both General Israel Putnam and his son, Colonel Israel Putnam. When the Putnam family, in the early days of the founding of Marietta and the Northwest Territory, returned to Connecticut to retrieve the rest of the family at the height of the Indian Wars, Kitt stayed behind at the garrison at Farmers’ Castle in Belpre. The qualities served Kitt well later in life when he was allowed to vote in October of 1802 to select delegates to the Territorial Convention, which would meet to draft a constitution for the proposed state of Ohio. The idea that a black man would be granted such a right so many years before emancipation was just par for the course for many of the gentlemen founders of the area. 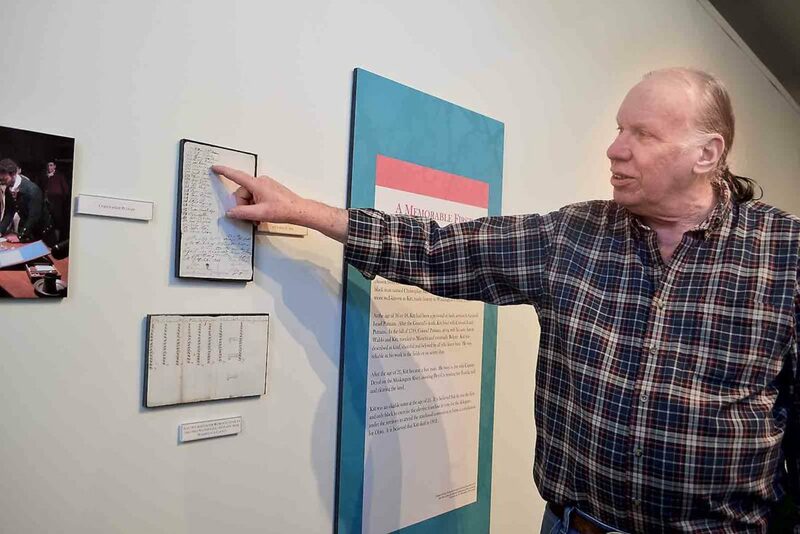 The museum exhibit explores how various members of the Ohio Company worked to eliminate slavery in the Northwest Territories, and later in Ohio. It will run through May and includes information about Kitt Putnam, including the voter roll where his signature appears. Whether or not Kitt understood the significance of being the first black man to vote in the new United States is up for debate. And not much is known about Kitt Putnam after the fact. It is reported that he signed on to work with Captain Devol on the Muskingum River, where he tended to the mill and the crops. 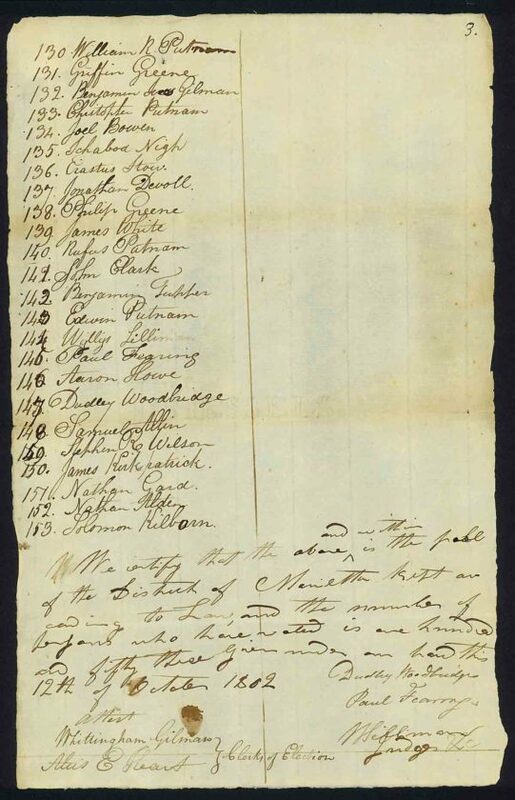 He signed the voter roll dated 1802 as a 21-year-old free man. But it is also reported that he died the same year. Reynolds said much is still unknown, including whether or not Kitt had a family and where he is buried. “I get the impression he was a worker bee and everyone liked him — apparently he taught everyone how to play cricket. But there is a real gray area there. I think he lived several years after (voting) but we don’t know a lot about him…he may be the first black person to have voted in the United States under our new government. That would take some research to find out though,” he said.